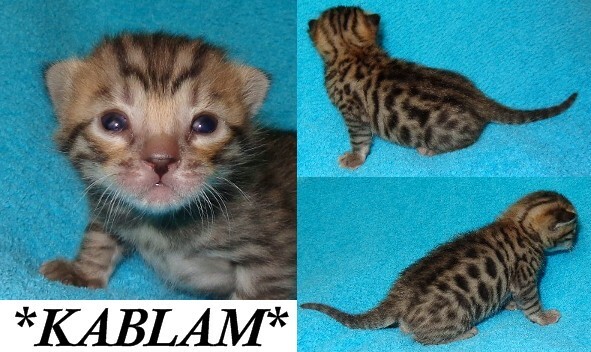 Kablam is great little black rosetted Bengal kitten with tons of personality even at this young age! He will be available as a high quality pet. This entry was posted in Bengal Kitten Gallery, Gallery and tagged Bengal, Bengal kitten, Brown rosetted bengal kitten. Bookmark the permalink.